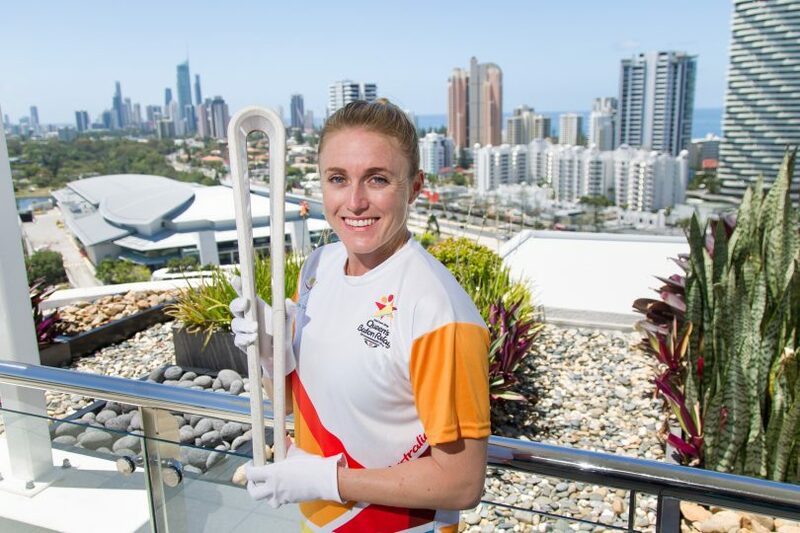 GC2018 ambassador Sally Pearson with the Queen’s Baton. Photo: GC2018. Motorist and commuter should expect traffic delays today (25 January) as Canberra hosts the first leg of the Queen’s Baton Relay as it travels across Australia in the lead-up to the Commonwealth Games on the Gold Coast. The ACT Government says a series of temporary road closures are expected from the Australian Institute of Sport in Bruce to the Australian War Memorial in Campbell. The relay will be continuously moving and sections of road will be reopened once the relay has passed through. 3 pm until 4 pm – Parkes Way, Parkes (both directions from Coranderrk Street roundabout to Kings Avenue/Parkes Way. The Queen’s Baton Relay will travel as a moving convoy with a rolling effect on local roads, with some traffic diversions onto alternative routes at some locations. Motorists are asked to please follow signage and directions from traffic controllers on site. Local traffic, where possible, will be accepted into affected areas. The Queen’s Baton Relay is not expected to affect the ACT road network on Friday 26 January 2018.